Just one year after picking up a guitar for the for the first time and toying with the idea of writing music, Charlotte Viney has become a force in song writing. 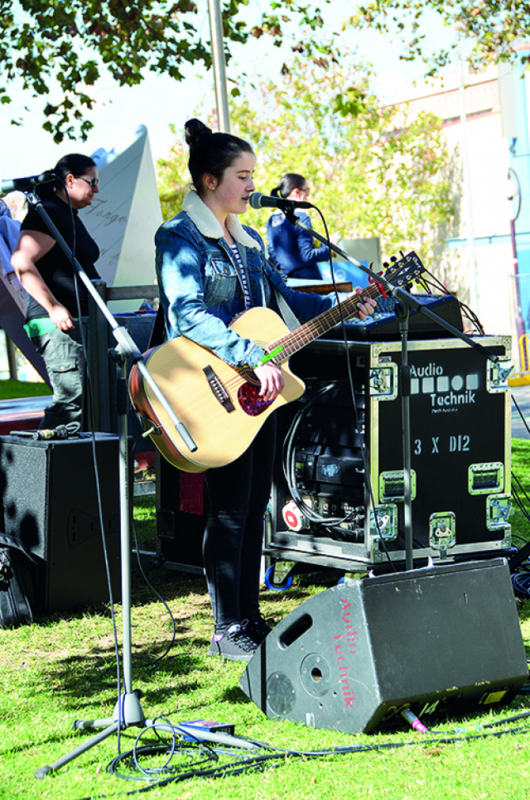 The Year 11 student blew away the critics at the West Australian Music Awards with her song, Hurricane. She said that she couldn’t believe she had actually taken out the Schools 14 and Under category when the winner was announced. “At first I wasn’t sure if I had heard them but then mum started hitting me,” Charlotte said. Despite having two songs in the final five, Charlotte did not have a speech prepared. Charlotte credits her MLC music tutor, Craig Pinkney, for helping her find her sound. “Mr Pinkney’s really good. He helps me with getting the right sound and recording. He also helps me broaden my technique, gives me a wider influence and introduces me to different artists,” she said. Despite her early success at the WAM Awards, Charlotte is maintaining her focus on her studies. “I want to do something in medicine because my uncles are both doctors and my mum’s a nurse,” she said.